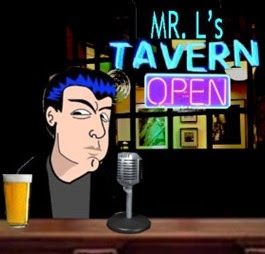 Mr.L's Tavern: Hollywood Hates Sarah Palin But Loves Erin Brockovich? Go Figure! Hollywood Hates Sarah Palin But Loves Erin Brockovich? Go Figure! As you know, I got the opportunity to screen the new Sarah Palin documentary “The Undefeated” by Steve Bannon at Magno Studio in New York City on June 22, 2011. If you have not heard my full review of the movie you can see it underneath this post. Bannon attended the screening and was gracious enough to open the floor to questions and comments from the crowd. I want to stress in print what I told him: the documentary was superb and on par, if not better, than the documentary he made about Ronald Reagan titled “In the Face of Evil.” I thanked him for showcasing Sarah Palin as a human and not an object or a myth that the media has created. Seeing Palin’s entire life and career laid out in front of me, I realized that her talents, tenacity and ability to get things done would have been marginalized if she became Vice President Palin. Bannon agreed saying that was a good way of looking at it all. He stated, divine intervention possibly played a hand in the election of 2008. In short, everything happens for a reason. Two days later, I recalled something else Bannon had stated. Bannon screened the documentary to Hollywood executives—mostly left wingers—who were impressed with the film and the story of Sarah. They also seemed excited about the commercial potential of the film. Hollywood execs may be left wingers—but they also like making money. Many of them are capitalists before they are progressive ideologues. That got me thinking. Of course Hollywood would like “The Undefeated.” Throughout Hollywood history, studios made films with themes and characters very similar to the likes of Gov. Sarah Palin. Stories and characters who were whistleblowers, up against insurmountable odds, taking on the establishment, a colossal corporation, or corruption. One such movie comes to my mind: Erin Brockovich. The film hit theaters in 2000, starred Julia Roberts as Brockovich and directed by Steven Soderbergh, who later went on to direct “Traffic” and the remake of “Ocean’s Eleven.” It was a tremendous success both critically and commercially. The film grossed over $200 million worldwide and was nominated for five Academy Awards including Best Picture, Director, Supporting Actor Best Original Screenplay. Roberts won Best Actress, the only Academy Award the film received. If you haven’t seen the film, it’s basically a small town girl does good story. Brockovich, a down on her luck single mother with no prior serious work experience, applies for a paralegal job at a small law firm. While there, she uncovers a case involving an energy company who are polluting the water and causing neighboring residents of the company’s plant to get cancer. I’d rather stay on track with the characters and themes of the film and contrast them with Sarah Palin. You could literally substitute Sarah, with a few minor alterations made for detail, in for the story of Erin. Erin came from a small town in the southwest as Sarah came from a small town in Alaska. Both women are strikingly beautiful, although Sarah did not dress as provocatively as Erin once did. Erin was the homecoming Queen of her small town. Sarah won her title as Miss Wasilla in a local beauty pageant. Erin and Sarah, were both underestimated, and for whatever reason—good looks, the way they communicate. Sarah speaks in a colloquial fashion and Erin a more jocular jargon laden with profanity. It still seems for women in this country that, in order to be taken seriously, they have to look and speak like Janet Reno, Hillary Clinton and Janet Napolitano. You know, don’t be strong a but feminine woman—just become a man. Sarah and Erin, when faced with adversity, went on to do bigger and better things. They both succeeded. Erin, as portrayed in the film about her life, was over a barrel financially with two kids in toe. She faced that adversity head on and investigated a corporate corruption case which delivered a windfall payout to the residents/victims she fought for and she receives a hefty commission in the end. Sarah Palin as Oil and Gas Commissioner of Alaska, with five kids in tow, recognized the and confronted the corruption of the commission, Big Oil, and the state Republican party and Democrat party. She took on both the party bosses and the lawyer-ed up executives of Big Oil. And she launched her campaign for the Governor’s mansion after this resignation and won. In one of the most telling moments of “The Undefeated,” Palin’s voice over explains what it’s like to go up against Big Oil. She said ( I can’t recall verbatim), “these executives also do business in hostile countries in South America where they can intimidate an oil CEO with a machete or AK-47. So, you could imagine what they thought of politicians in America. All they had to do was get a few of Alaskan politicians liquored up, and these politicians would happily sing their tune. Thank God Sarah isn’t a drinker! She took them all on and she won. She got AGIA and ACES passed. It was a success that took thirty years to accomplish. No Governor, until she came along, could pass this legislation for Alaska. It was a success, not only for her, but for the citizens she served. As Sarah explains the political credo she lives by that, “in politics, you either sleep well or eat well.” Sarah preferred to sleep well. There wasn’t a windfall profit waiting for Sarah as it was for Erin in the movies. When Sarah returned from the failed McCain campaign of 2008, she faced gridlock and multiple, frivolous ethics complaints filed against her. She was exonerated on all charges, but these charges put her in the poor house via legal fees and forced her to resign from office. Any Obama supporter reading this who wants to call her a quitter, please go count all of the FOIA (Freedom of Information Act) request that Obama has on his administration and know that only the office that he holds, the most powerful in the world, keeps him cooperating. Funny thing about these two women: Erin ended up praising Sarah when she was picked as McCain’s VP in 2008. Erin lost much of her Hollywood street cred earned in 2000 for doing so. As for Sarah, between the reality show of last year, the books, bus tour and the looming bid for the presidency, the media and Hollywood are just getting to know her. After thinking about these similar stories of these two women, it’s clear that Erin Brockovich’s story ended in movie theaters. On July 15th, the real story of Sarah Palin, begins and does not end there. Damn fine comparo! Why didn't I think of it? Keep up the good work!